The new ice cream parlour in Marysville serves up summer time treats sure to refresh on a hot day. 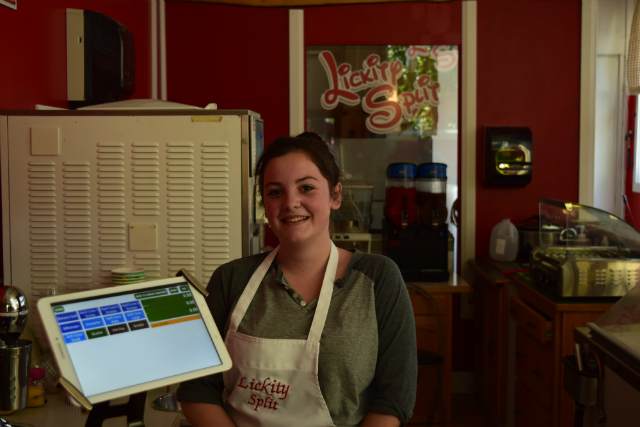 POS-n-go welcomes Lickity Split to our point of sale family. They offer both hard and soft ice cream in traditional or waffle cones. A wide array of hard ice cream flavours are sure to satisfy everyone's taste. Makenna Hallgren welcomes customers with a smile and cheery hello. She said, "POS-n-go was easy to learn and operate."